Back in the 1960’s, thanks to a publication called Tape Recording magazine, several of us old radio fans put in an ad to swap tapes of the programs we had collected. We could place an ad at no charge in the magazine. That was how I met Morris Dollens (1920-1994). Many of my favorite programs were science fiction and to my surprise, Morris was not only a radio program collector but also an artist and writer of science fiction. Of course, in those days we all had large and heavy reel-to-reel recorders having various speeds and track widths. Our particular interest was for such programs as X Minus One, Dimension X, Escape, Quiet Please, and Suspense. There was nothing better than listening to these programs in the dark and letting your imagination visualize the characters, scenes and action. Remember the program Three Skeleton Key? If you ever heard it, you would never forget it. In one of the voice tapes that Morris sent to me, he said he had many hobbies like photography, art, writing and tape recording. These were close parallels to my own interests. 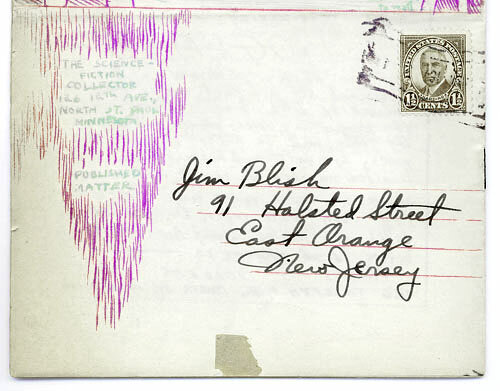 He sent me a post card on 29 July, 1968 when he was visiting his brother and family in the St. Paul, Minnesota area. He said he took 96 rolls (8-12 pictures per roll) so far and 5 rolls of 28 stereo pictures. 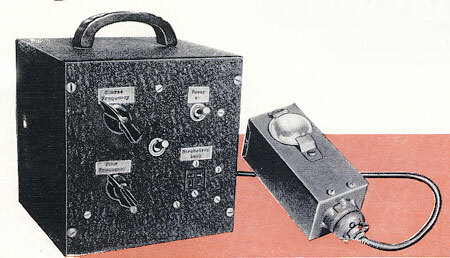 Lloyd Nesbitt was also a tape correspondent and also exchanged old radio programs with us. He was working in the service department of a McIntosh dealer in Los Angeles. Lloyd was often in touch with Morris as they both lived in the same area. When Lloyd visited McIntosh in Binghamton, we finally met and we went to dinner with others at McIntosh. I never met Morris in person but I am sure we would have gotten along very well. When Morris and I were exchanging voice tapes and old radio programs, I was not aware of how his interest in science fiction began. It was not until recently that I was able to find copies of his first endeavors in writing, illustrating and publishing science fiction. In his youth of the 1930’s, while living in North St. Paul, Minnesota, Morris had subscribed to FANTASY MAGAZINE, and had been almost instantly bitten by the publishing bug. He had no printing equipment, no typewriter, very little money and no solution seemed apparent. The initial cost of mimeographing equipment high in those days so Morris and other fans arrived at the conclusion that hectographing was the only solution to their problem. It was affordable, requiring limited technology and leaving few traces behind. It was ideal as a low-technology print maker for limited quantity publications.The special dyes for making the master copy came in the form of hectograph pens, pencils, carbon paper and even typewriter ribbon. The gelatin process made print runs of somewhere between 20 and 80 copies and after some experimenting, he was able to get satisfactory results. At least eight different colors of hectographic ink were available, but purple was the most popular because of its density and contrast. After transfer of the image to the inked gelatin surface, copies were made by pressing paper against it. Care needed to be taken that the gelatin surface was kept clean, and not damaged during duplicating.. Morris Dollens then became the center of attraction. 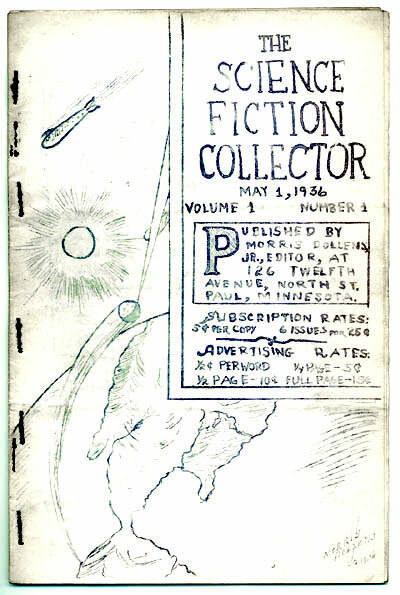 So in May of 1936 at the age of 16 he published the first issue of his fanzine titled The Science Fiction Collector. It was completely illustrated and printed by hand. The first issue was 16 pages measuring 8-1/2” by 5-1/2” (8 sheets of 8-1/2” by 11” folded in half and stapled together at the fold). The first issue included part one of a three-part story written by him titled The Platinum Planetoid. After advertising in Fantasy magazine he received a generous initial response. It sold for 5 cents per copy or six issues for twenty-five cents. On the last page of the collector this message appeared. Although no payment can be made for them, we would like to receive articles on collecting, binding, etc. Also suggestions and criticism. By the standards of a professional magazine, the first issue of the Collector was amateurish. Despite its many shortcomings, however, the Collector was an inspiration to the fans, who yearned to publish creatively, yet did not have the means. Dollens' publication set an example for a publication they could afford. For the first time he received sizable literary and artistic contributions from fans who had few other outlets for their work save his SCIENCE FICTION COLLECTOR. Because of this sudden interest he increased the size and number of pages in the magazine, producing a first anniversary issue that was such an improvement over past numbers as to cause fans to look up and take notice. Look who was subscribing and advertising in the Collector at age 15. 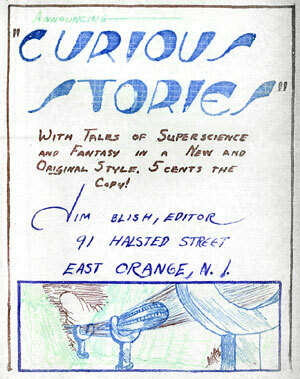 It was James Blish, a now-famous science fiction writer, who was born in East orange, NJ, May 23, 1921. An advertisement of his own publication appeared in the Collector issues of December 1936 and February 14, 1937. Despite the success of his publication, which had its good and bad times, Morris was not satisfied with the quality of the hectograph prints. In addition, some subscribers were not renewing subscriptions. Despite all of this, by the thirteenth issue in June, 1937, the Collector print quality had greatly improved and was considered to be a mature, entertaining, intelligent publication, more than holding its own with others in the field. The contents page read like a Who's Who of fandom at the time, with material by Stiles, Dollens, Wollheim, Kyle, Beck, Baltadonis, Chapman and Moskowitz. But cooperation had come too late. The June 1937 issue contained an editorial by Dollens’ sudden announcement that the magazine would be discontinued. The reasons for why he was quitting science fiction were given in the July 1937 issue. These announcements are provided on a separate page. Although somewhat discouraged at this time, it was also the beginning of his career as a writer and illustrator. I am now selling the complete original 18 issues of The Science Fiction Collector. 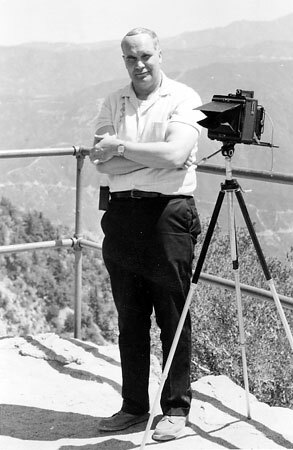 He had worked at commercial photography, electronics for some months, even at a shipyard on submarine chaser boats. He visited the Minneapolis Fantasy Society every week, recorded many s-f plays on discs, and did several black and white covers for their fan magazines, including Phil Bronson’s Fantasite, then no art for 9 years—photography became his creative interest for a while. The coming winter and two blizzards in one week solidified his plans to move to California where he worked for two years in the sound department of MGM studios, perhaps half the time on live action and miniature sets and later operated a commercial and portrait studio for five years. Morris wrote a very interesting two-part article published in the March and April 1963 issues of Audio magazine titled “A Wall-Projection Color Organ.” He provides a great deal of history about relating sounds in the music spectrum to different colors in the light spectrum. He also describes that his interests began from reading a 1928 science fiction story that described such a machine. 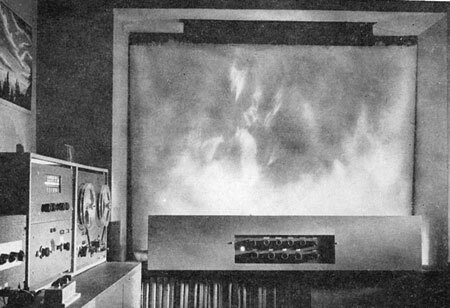 I had built a 3-channel color organ from an article in a 1950s Radio TV News magazine but the display that Morris created in this later article was far better and projected with a more varied pattern on a flat wide screen. Of course, in those days tubes were used that could today be replaced with solid state devices. In the picture at the left, you can see one of his paintings in the upper left corner. The beginning of his article got me to thinking about one of my favorite subjects –how we hear and experience music. Music is literally a universal language that needs no words to convey emotion, feelings, moods etc. His color organ brings color to a musical composition. But if sound alone can evoke tears of joy or sadness, why cannot a light-only composition accomplish the same result? Like Morris, I read a science fiction story many years ago about color communication with beings on Mars. Perhaps this is similar to the method of communication between cuttlefish. Can a pure light show convey universal emotions without sound? There can be no limit but to the imagination and skill of the composer. After the moon landing in 1969, public interest in space increased dramatically. Art and cover sales allowed him to leave that job. Up to 1977, he had sold about 1700 paintings and about 60,000 space slides to many schools and collectors. Morris states that he likes to keep his subjects relatively simple, mostly landscapes, as more people seem to want these, and they wear better than the forced violence so many covers exhibit. He loved to see those works full of action that other artists do, but rarely did them himself. Elaborate space ships and human figures depicting action poses take many times the hours of scenics, hence would cost more. An excellent article was written by Jeffrey Elliot about Morris in the June, 1980 issue of Future Life magazine. It has a lot more details about Morris and some color samples of his art, including an outstanding painting titled “Rama.”. 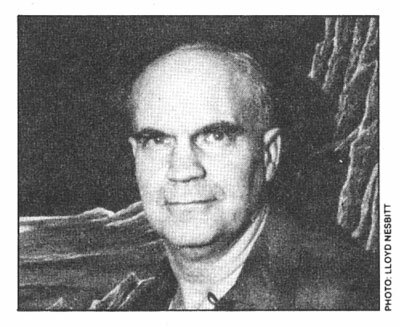 An excellent artist profile titled “Impressions of the Universe” by Morris Dollens was published in the April 1978 issue of RBCC magazine. Here, is a detailed story of his personal experiences throughout his career. It also contains samples of his art but they don’t do justice in black and white. I have only one original painting of his titled “Ruined City in Gargoyles Near Binary Suns.” It is from 1986 and the size is 8 X 10. He was using a combination of brush and air brush with acrylic. His writing on the back is a little shaky, maybe from recent strokes. When I heard from Morris in December of 1986, he said he had had two strokes the previous year leaving him with speech difficulties and he could barely write. However, with persistence, he was able to overcome this and with the help of his good friends Al and Lee Kiels, was able to resume much of his life at home including writing and painting. During his 5-day and later 2-week stay in the hospital, the Keils had also helped by getting his mail and feeding his two cats. He mentioned that he had less time and energy than before. However, he was still able to sell a few more paintings and was looking forward to completing several picture books and science fiction novels. Morris had sent me many pictures taken in his home as well as some posters he had made. He also sent a few slides of paintings that he had made. I still have a voice tape that he included describing each of the pictures in his house. He recorded it with Lloyd in December of 1967. He had an extensive collection of books and records. He also had an unbelievably well equipped workshop and printing area. There were also three Revere T-11 taper recorders just like one of the recorders I had owned. Of course, in those days, there were no computers for home use, no internet and no emails. Writing articles and books was a lot more time consuming for him as well as for me to write my own articles, having only a typewriter, paper, pencils and erasers. I am sorry not to have heard from him again. Later, I found he had passed away in 1994 at age 74 and now, in my retirement, there has been time to finally create this greatly deserved tribute to him and his multiple talents. The last time I heard from him was in December 1987. He mentioned he was able to visit the Phoenix convention and sold many paintings and showed hundreds of slides for a lecture. He had visited with Karen Kuykendall (cat lover with 16 cats) and was looking forward to her publishing his book of cat photos. 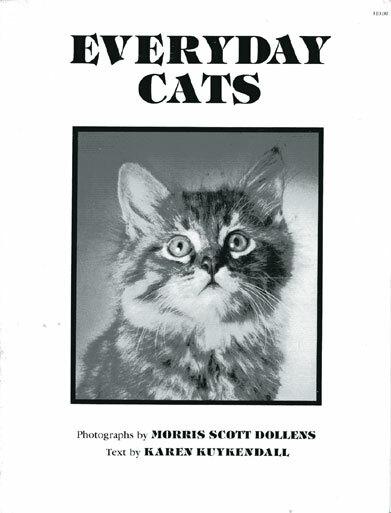 The book is titled Everyday Cats published in 1987 by Desert Diamond (ISBN 0933998031). By then Morris had several more cats. My copy is signed by Karen Kuykendall and dated 1990. That was another thing we had in common—our love of cats. My wife and I were adopted by a stray. 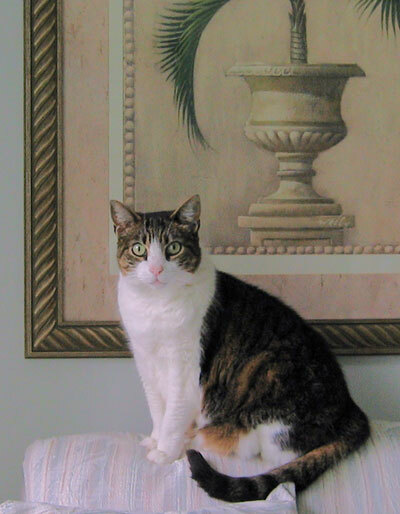 She used to hang around the yard hunting lizards or bugs while I was out doing gardening. In the beginning of our relationship she would not let me get close to her at all but she soon liked the food I left out for her. That was when I was first able to get close enough to touch her while she was eating. Over the months, she gradually became her real self finding the softest and warmest spot on the bed and being a fussy eater. She came to us not quite full grown and we found a little later that she had her front claws removed and was “fixed.” Someone had spent some money on her for all of this. She was an outdoor-indoor cat. We enjoyed her company for 17 years before she passed away. We never found who had owned her or where she had lived or how she had become a stray. I don’t think she was ever concerned about the past. 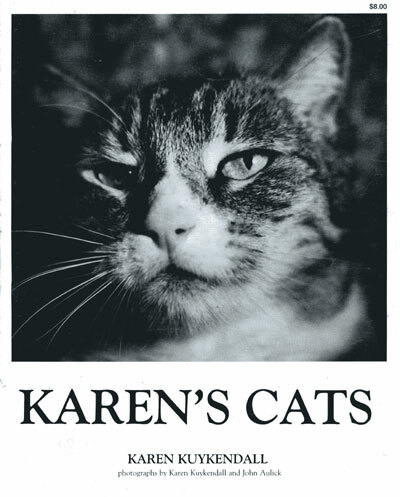 Karen Kutkendall had earlier produced a book of her own titled Karen’s Cats. It was published in paperback form in 1980 by Desert Diamond (ISBN 0-933908-01-5). It measures 8-1/2” X 11” and contains 91 heavy glossy pages with many pictures and text with many photographs by her and John Aulick. 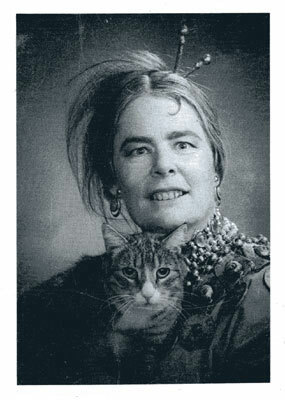 The text is full of wonderful stories about her cats and their individual personalities. Some of these stories are expanded from her earlier articles in the Casa Grande Dispatch.